Chicago Craft Beer Week may have come and gone back in May, but some events linger in the mind longer than others. 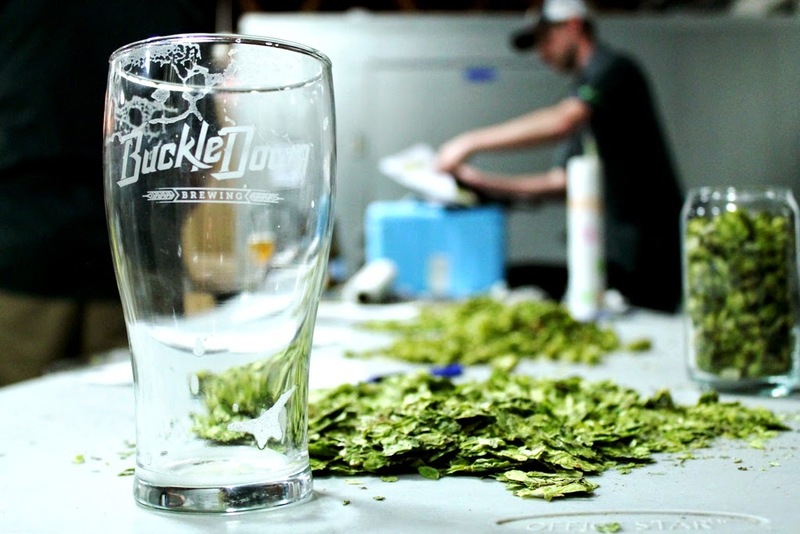 Perhaps it was the educational aspect of BuckleDown Brewing's public hop rub on Friday, May 23rd that made it stand out from hundreds of other events around the city throughout the week. Or maybe it was the unique sensory experience of seeing, feeling, smelling, and tasting a variety of hops straight from Michigan that elevated the event. 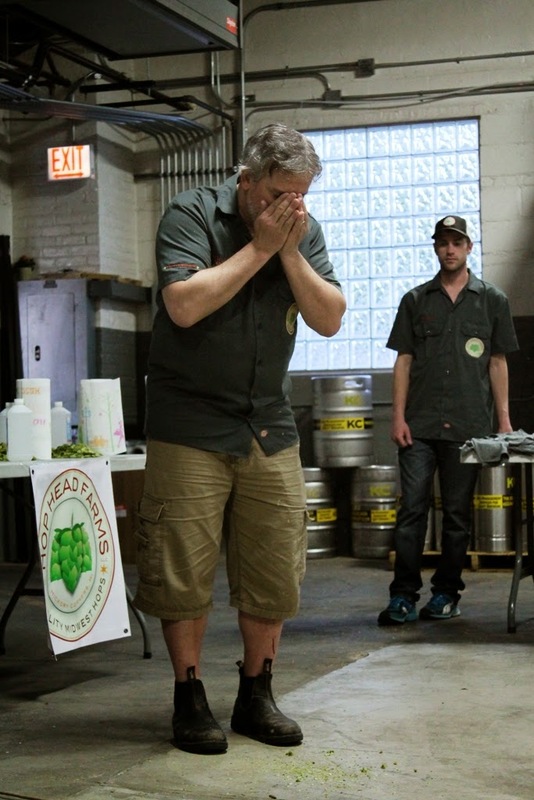 Whatever the case, attendees got a nose-full of knowledge from Hop Head Farms owner Nunzino (Nunz) Pizza as he explained the process of evaluating hops based on all of one's senses, from color, size, and shape, to dryness and moisture, and, finally, to the scent released during the act of rubbing the hops. Nunz patiently guided the attendees through the process, explaining the need to fully embrace the subjective nature of scent, much like taste. While certain characteristics may stand out to more than one person, each person picks up on subtle nuances others may miss. And while there are no right and wrong evaluations, there are certainly some that are "more right" than others. 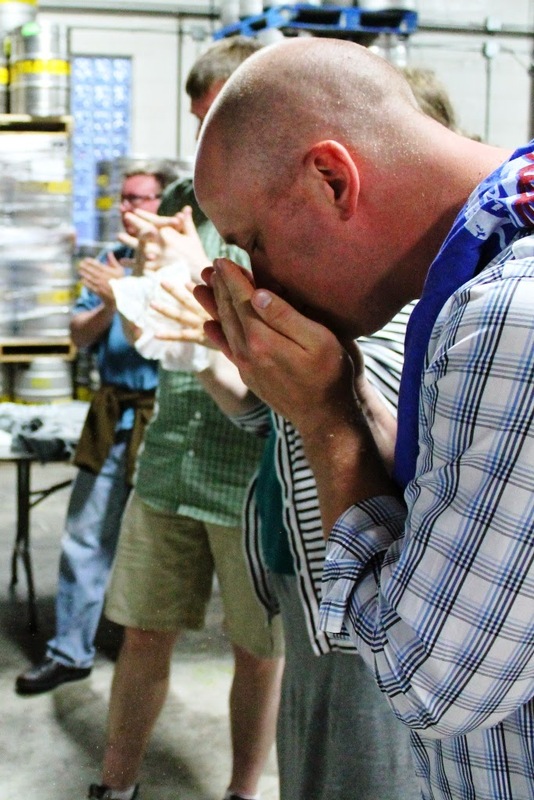 Several attending homebrewers were able to identify specific hops by scent, as well as the type of hops used in a special beer being sampled out during the event. 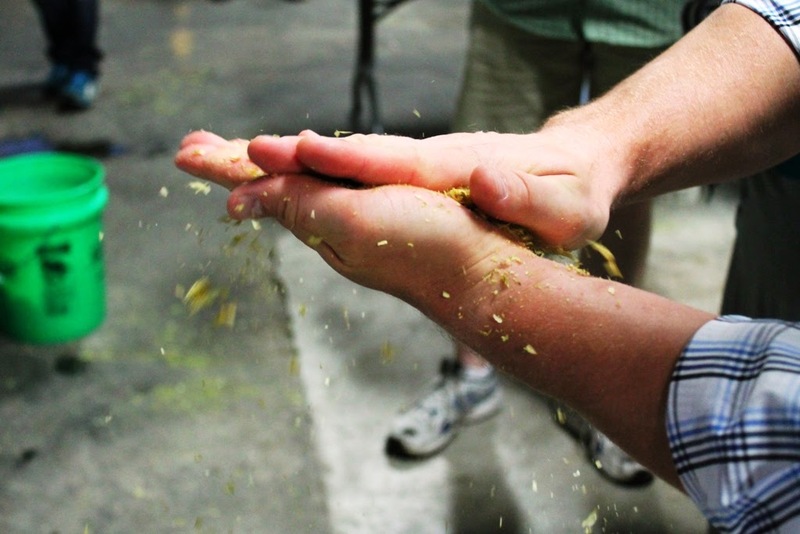 The public hop rub added an educational element to CCBW that too often gets overlooked. And in the expert hands of Nunz, whose "teaching style" was purely conversational and experiential, learning how to properly evaluate hops couldn't have been more enjoyable. For more photos from the event, visit the photo album on Facebook.